The Buffalo Riverfest Park was a dream come true for the Valley Community Association. The Association serves the First Ward of the City of Buffalo and celebrates this historic area and its citizens. The Buffalo Riverfest is a regatta on the Buffalo River and community festival held annually. 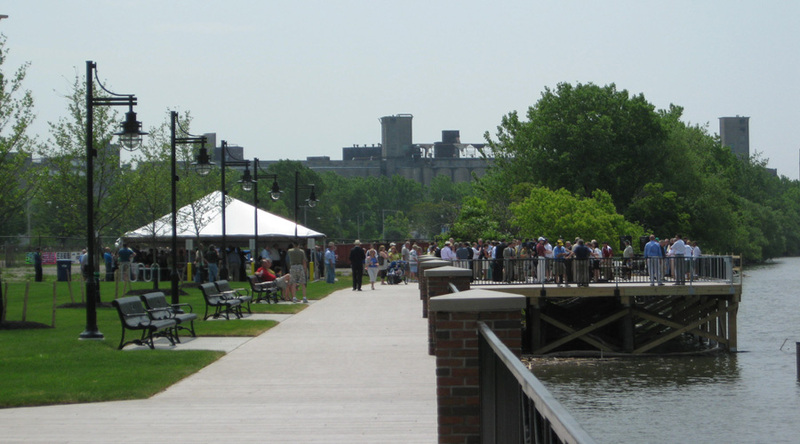 The VCA acquired riverfront property and developed it into a park for the Riverfest and as a recreational resource for the area. 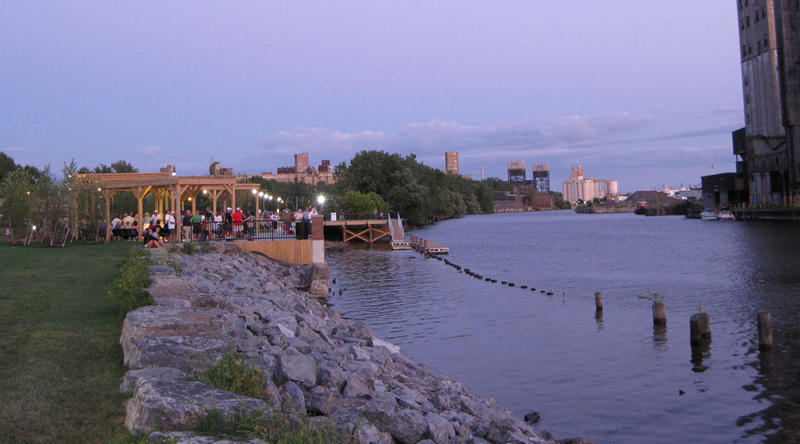 After discussions with the Owner, LDI design professionals identified the lighting design considerations for the Buffalo Riverfest Park; establish the feeling of a safe and secure park, create a space that is inviting and welcoming to visitors, and Extend enjoyment of the Park into the evening hours. To begin the design process, the Owner’s design considerations need to be translated into lighting design criteria. For the Park, the lighting design team created descriptions of these criteria translations. To establish a sense of security, the applied lighting solution must maximize a person’s ability to see, known as visual acuity. Visual acuity, relative to lighting, includes consideration of the amount of light and the reduction of glare. To create a welcoming environment, a passerby (vehicle or pedestrian) must see that the space is illuminated. Illumination gives the impression that the space is occupied and cared-for – creating a space that people will want to visit. In addition to improving the visual acuity of visitors, to extend enjoyment into the evening hours the lighting application must be pleasant and artistic as well as functional. The illumination of vertical features within the park – such as trees and walls – increase the feeling of brightness and highlights the quality of the park. When you embark on creating an enjoyable lit environment, the lighting designer uses luminaires (lights) and lamp (light bulb) selections to achieve the identified criteria. 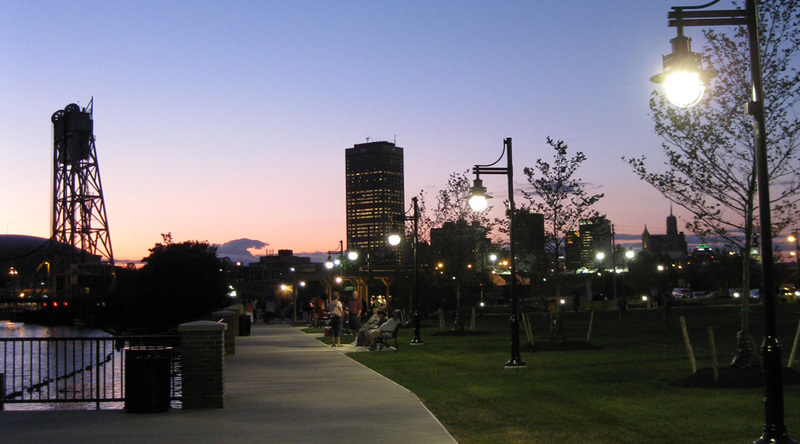 For the Buffalo River Fest Park, lighting to meet the objectives was accomplished by utilizing pedestrian poles (shorter poles with lights) and ingrade floodlights. (flood lights in the ground). Pedestrian pole mounted luminaires will provide lighting on park surfaces like pathways and walkways to allow visitors to see where they are walking. The height of the mounting provides illumination on vertical services as well, like people and faces. Use of ingrade floodlights allowed LDI designers to establish vertical illumination of key features in the park. Organic key features that are vertical – such as the stand of poplar trees or the new sycamore trees – when lit, give the impression of brightness and make the space inviting. Recessing the lights ingrade maintains the daytime views of the park – so visitors won’t be distracted by seeing the lights. 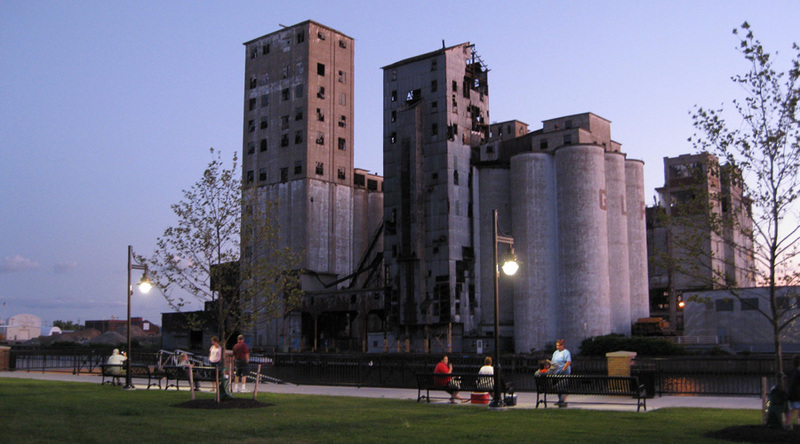 It is the Valley Community Association’s desire to have their Buffalo Riverfest Park become the first in a string of protected park spaces along Buffalo’s waterfront – connected by bike trails and walking paths. When building our communities and heritage tourism places – it sometimes takes the dedicated work of a single group of passionate people to start the renaissance.